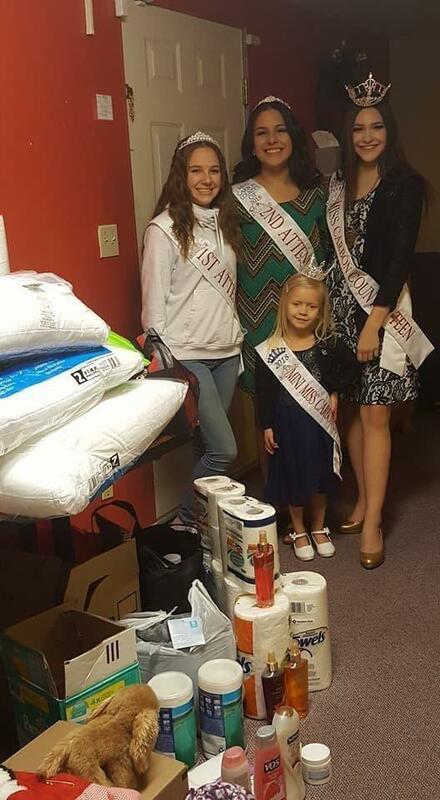 While just being crowned one month ago, Miss Carbon County’s Outstanding Teen and her two attendants have already given back to the community. 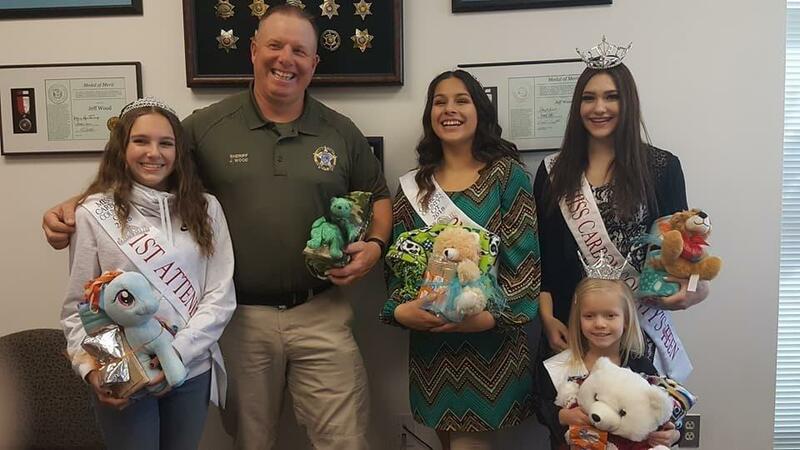 The Monday before Thanksgiving, the Carbon County Sheriff’s Office and the Carbon County Women’s Shelter were greeted with generous donations from the outstanding teen royalty as well as Mini Miss Carbon County’s Sadie Fe Oveson. MaKinzey Cross, Outstanding Teen’s second attendant, implemented her platform “There is No Excuse for Domestic Abuse” by collecting items such as pillows and hygiene products for domestic abuse victims. 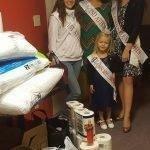 These items were then donated to the Carbon County Women’s Shelter. With the help from the community, Cross and the rest of the royalty were able to successfully present the shelter with the donations. 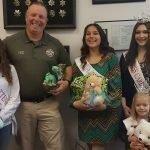 Next on their agenda, the royalty delivered blankets and stuffed animals to the Carbon County Sheriff’s Office. These donated items will be placed inside each deputy’s patrol car where they will then be given to children during unfortunate events such as car accidents, domestic violence situations and more. 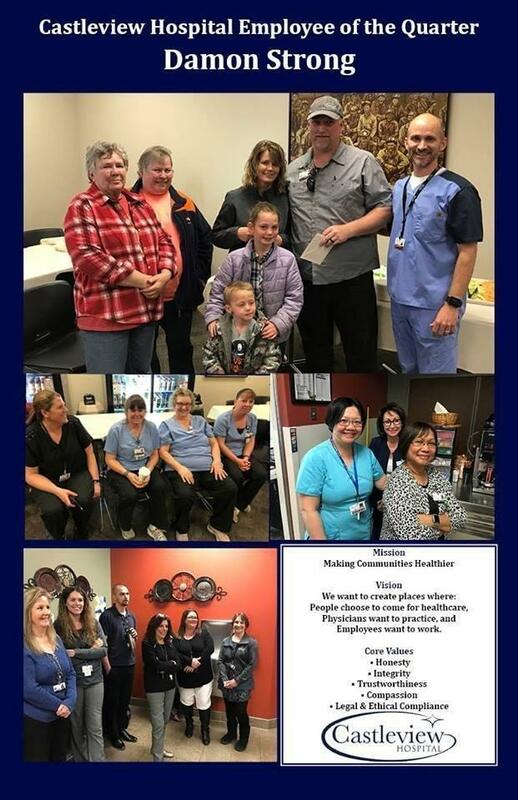 According to Cross, the donations were made by community members and were delivered at the Carbon County Recorder’s Office and U-Haul. The Wellington 3rd Ward Young Men and Young Women also donated items and put together care packages for the project. The 2018 Outstanding Teen royalty includes Miss Carbon County’s Outstanding Teen Wynter Pendray, first attendant Kaylie Basso and second attendant MaKinzey Cross.